Do you know the meaning of a pink ribbon? The pink ribbon is a symbol of the global campaign for the prevention and treatment of breast cancer. The “Pink Ribbon” is the world’s most influential breast cancer prevention and control campaign launched in the United States in 1992. Every year in October, it is designated as the world breast cancer prevention month. In October 18 is designated as “breast cancer prevention day”. Breast cancer is one of the most common malignant tumors in women. According to data statistics, the incidence of 7-10% in all kinds of malignant tumors in the whole body is second only to uterine cancer. It is often associated with heredity, and between 40 and 60 years old. The incidence of women before and after menopause is higher, only about 1-2 of the breast patients are male. A malignant tumor usually occurring in the gland epithelium of the breast. It is one of the most common malignant tumors that seriously affect women’s physical and mental health and even endanger life. The cause of breast cancer is not completely clear, the study found that the incidence of breast cancer has a certain regularity, women with high risk factors for breast cancer are prone to breast cancer. The so-called risk factors are the risk factors associated with the onset of breast cancer, and the risk factors for most breast cancer patients are known as risk factors for breast cancer. Early detection and early diagnosis of breast cancer is the key to improve the curative effect. Pink ribbon is a campaign to care for breasts, in order to promote women’s chest health as their responsibility, and carry out campaigns to prevent and treat breast cancer and various breast diseases. This is also a pursuit of health and beauty. She has become a kind of love and fashion. Every October, politicians, celebrities and film and television stars all over the world will wear a landmark “Pink Ribbon” to appeal to everyone to pay attention to the health of women’s breasts, and to voluntarily distribute the brochure of breast cancer prevention and control to arouse women’s confidence in preventing and defeating the disease. The promotion of breast cancer prevention and control campaign is of great significance. It needs the participation of everyone in the whole society. In this respect, pink ribbon custom patches have played an important role. Wear our pink ribbon custom patches to publicize the knowledge about breast cancer prevention and treatment. Remind people to care for the health of women. 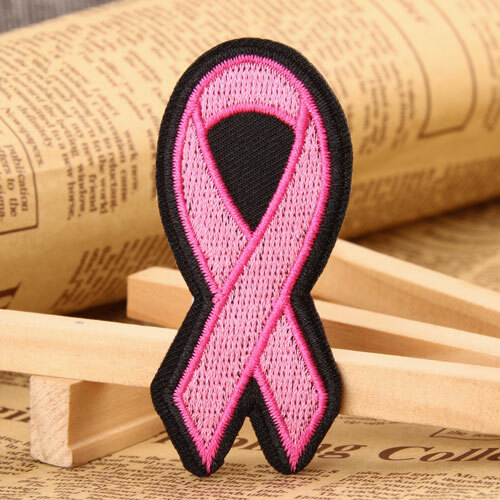 At the same time, as a female, sew or iron pink ribbon custom patches on your clothes, remind yourself constantly to maintain healthy diet and lifestyle, and regular physical examination for breast cancer. 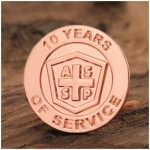 Meanwhile, the custom patches could also help boost public welfare activities, issue each volunteer with pink ribbon logo custom patches, enlarge the influence of the activity. to infect, influence more people, let more people to participate in the public welfare activities. This is the energy of a small pink ribbon custom patches. It allows love to coagulate, let hope pass, remind us and everyone around us, care for breast health and care for breast cancer patients. 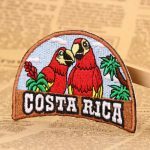 If you want to know more about pink ribbon custom patches, welcome to visit our website www.gs-jj.com. You can also email info@gs-jj.com or call 1-888-864-4755 toll-free.